Choosing a nursing home for a loved one can be one of the most heart-wrenching and difficult decisions to make. After all, nursing homes provide around the clock care for aging individuals when that’s what their heath requires. There is, unfortunately, a wide variation in the quality of nursing homes as indicated by the data. To give you a sobering glimpse of how bad things can be, consider reading this article from the Chicago Tribune entitled “Misery: Inside a 1-star nursing home.” At the same time, some rave about the quality of other facilities in glowing online reviews. At FamilyAssets, we help people across the country find senior care living facilities from nursing homes, to assisted living, to in-home care providers. As a result, we’ve assembled hundreds of thousands of reviews specifically on nursing homes across the country. Just how common are “bad” reviews of nursing homes? Which cities and states have the best reviewed nursing homes and which ones have the worst? From our data set, we found regrettably that negative reviews of nursing homes are extremely common, even compared to other forms of elder care, like assisted living. Of the cities we looked at, Atlanta, Georgia has the worst rated nursing homes, where almost 60% of the reviews are one or two stars. On the other hand, Evansville, Indiana has the highest rated homes where over 80% of the reviews are positive (4 or 5 stars). On the state level, South Dakota has the best rated nursing homes and Nevada has the worst rated ones. Before diving into the results, it’s worth spending a moment on describing the data set and methodology. In order to help people choose the right nursing home, we’ve aggregated hundreds of thousands of reviews across the web for tens of thousands of facilities. We avoid looking at average scores and instead look at the prevalence of “bad” reviews (1 or 2 star) and “good” ones (4 or 5 star). For analysis on cities, we only include ones with at least ten facilities and a hundred reviews. Moreover, while Medicare has its own star rating system, these ratings are sometimes gamed by nursing homes, so in this analysis we look solely at user-review sites. To start, let’s look at the distribution of reviews of nursing homes across the country by star-rating. It would be very concerning to see lots of one-star reviews, but unfortunately that’s the case. Over 25% of reviews for nursing homes are 1-star, the lowest possible rating. Is 25% one-star reviews high or low? Horrible reviews for assisted living facilities are much more rare than for nursing homes. Just 8% of assisted living reviews are one star. Horrible reviews happen at a three times higher rate for nursing homes compared to assisted living facilities. Notably, while most people in assisted living use private funds to pay, 62% percent of nursing home residents have their bill paid by Medicare. From this data, it appears that when the government is paying, a lower quality service is provided. Do some cities tend to have nursing homes with worse reviews and other with better ones? The following chart ranks cities based on their percentage of negative reviews. While across the country, 30.4% of reviews are one or two star, these cities have a substantially higher rate of worse reviews on average. Across the 125 markets we looked at, Atlanta Georgia has the worst rated nursing homes. Each of the “top 5” cities with the worst reviews have over 50% one or two star reviews for all homes across the entire city. A one or two star review is typically a very negative experience, cities that make the above list have a plethora of nursing homes with poor reviews. Evansville, Indiana takes the top spot as the city with the best rated nursing homes, just beating out Topeka, Kansas and Bakersfield, California. Retirement hotspot Honolulu, Hawaii and Miami, Florida also make the best-rated list. 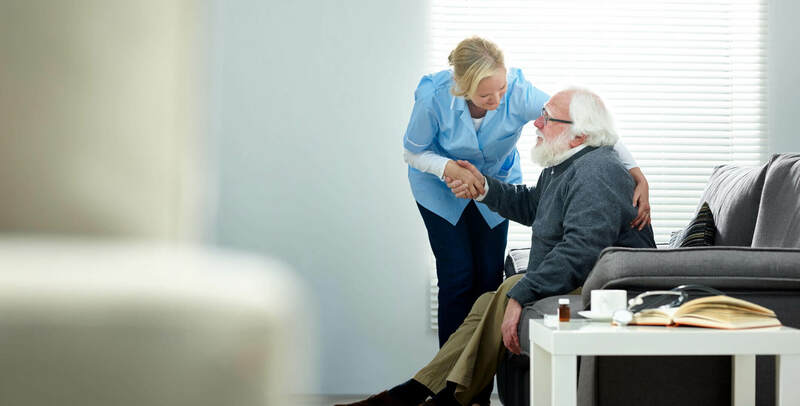 Notably, some of the largest and best known cities in America like New York, San Francisco and Seattle stand out for having well-reviewed nursing homes. By a somewhat significant margin, Nevada has the worst rated nursing homes in the country according to our data set. Nearly 50% of review, for the entire state, are negative. Also worth noting that Las Vegas, Nevada ranked #5 on the prior list of cities with worst reviews. Washington, DC the place with the second worst record on this list, also has had its share of nursing home horror stories. The Great Plains states dominate the best-rated states ranking with South Dakota taking the #1 spot followed by Wyoming and North Dakota. For those seeking a more tropical retirement experience, they can rest assured that the nursing homes in Hawaii are among the best reviewed. That over 30% of reviews for nursing homes are “bad” is truly a troubling statistic. Compared to assisted living facilities, nursing homes have three times more one-star reviews. In Atlanta, Georgia over 50% of the nursing home reviews for the entire city are one or two stars. Similarly in Nevada, half of the reviews for nursing homes are negative. And yet, there is reason to be optimistic -- greater access to data about the quality of care at nursing homes has the potential to improve overall levels of care as people seek out higher rated facilities. Cities like Evansville, Indiana and Topeka, Kansas are places where 80%+ of the reviews are positive. Similarly the states of South Dakota, Wyoming and North Dakota rank as states with high level of positive reviews. With the increased transparency, the hope is that more seniors find themselves in great nursing homes and fewer in ones that are not.